Presentations – Lets talk contests and rules. Contest Season is well underway! Many clubs have already held speech contests and Areas, Divisions and the District contests are being planned. Often questions are received requesting clarification of the rules. I am addressing the most common questions as well as highlighting rules that have changed in the Speech Contest Rule Book July 2018 to June 2019. The International Speech Contest’s District level winner’s video will be submitted to World Headquarters to be used in the Region Quarterfinals. After Region Quarterfinal results are announced, winners will be notified with information on the Semifinals, which will be held at the International Convention in August. • In contests with three or more participants, a third place winner, second-place winner and a first place winner will be announced. • In contests with less the three participants a second-place winner (if applicable), and a first place winner will be announced. 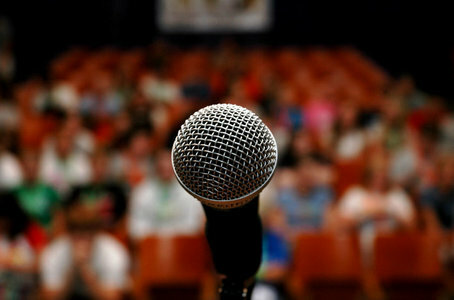 • To compete in the International Speech Contest, a member must have completed (any) 6 speech assignments in the Competent Communicator Manual, or have completed a minimum of two levels in the Toastmasters Pathways learning experience. o The only exception to this rule is a charter member of a new club chartered within a year of the club contest. The club must be officially chartered before the Area Contest. • Eligibility must be maintained at all levels of the contest. • Protests may only be made by contestants or voting judges. • Once the results of the contest have been announced no protests can be made. • Contestants who choose to make notes must use the Evaluation Contest Notes sheet (Item 1177). • More than one sheet may be used.